You know how people say caffeine helps you focus? That’s only true if you’re focusing on ROUTINE tasks. Our Book Excerpt of the Week is about the ways caffeine can (and can’t) help you. There are limits to caffeine’s powers, according to research by Bichler, Swenson, and Harris [2006, Amino Acids]. Caffeine stimulates the nervous system; it doesn’t help you with mathematical reasoning, logic, or short-term memory. Caffeine provides a boost of energy to do routine maneuvers but makes it harder for a person to patiently tackle complex mental challenges. How well caffeine works depends on a few different factors. One of those factors is what you are trying to accomplish when you consume caffeine. 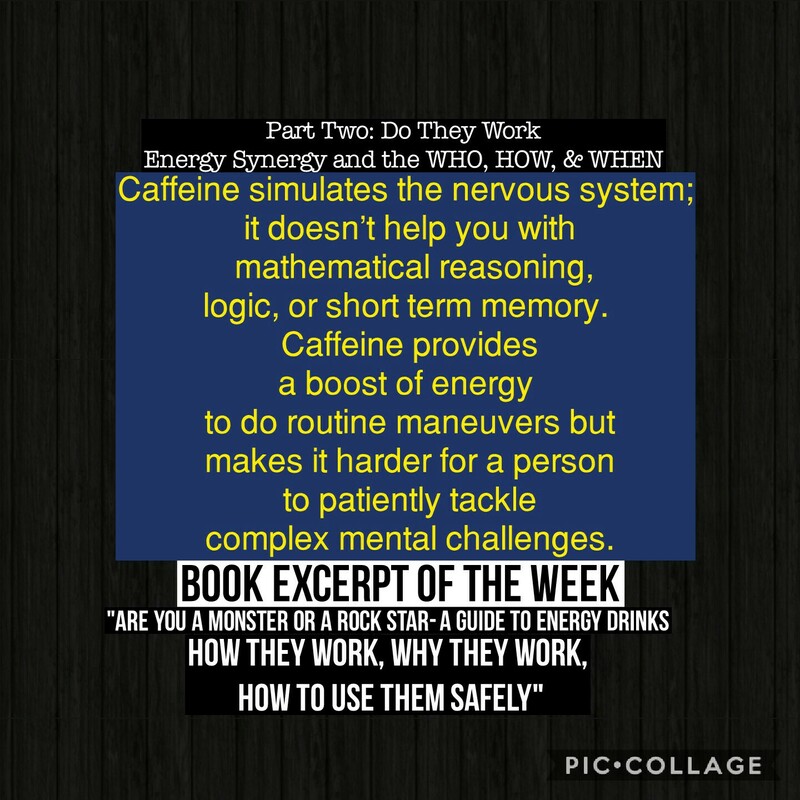 Book Excerpt of the Week from PART TWO: Do They Work Energy Synergy and the WHO, HOW, & WHEN.